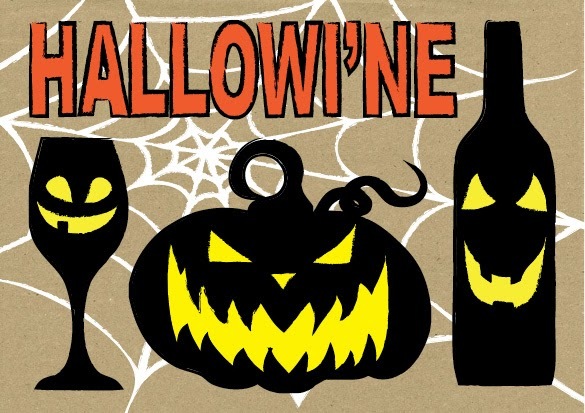 This Halloween, A Grape Night In are taking over D'Vine Cellars in Clapham North for two wine tasting sessions, from 7pm and 9pm. Cheese will also be provided - should be a fun and atmospheric night! "Each and every October 31st, the ghostly and ghastly come out for a night of riotous fun and this year there's no exception. This Hallowi'ne the Grape Night In ghouls are bringing out the odd, unusual and downright weird to a wine and gruesome cheese tasting fit for a zombie. Trick or treat your tastebuds in the dark and mysterious D'Vine cellar, just a creep up from Clapham North underground. This trick or treat tasting will last approx. 1.5 hours, and inc. wine & cheese tastings. Wines will be available for purchase after the tasting. Please arrive on time and tables will be required back at the end of the tasting."